What Are the Top 3 Best Roulette Strategies? What is the best Roulette bet? Do you know? 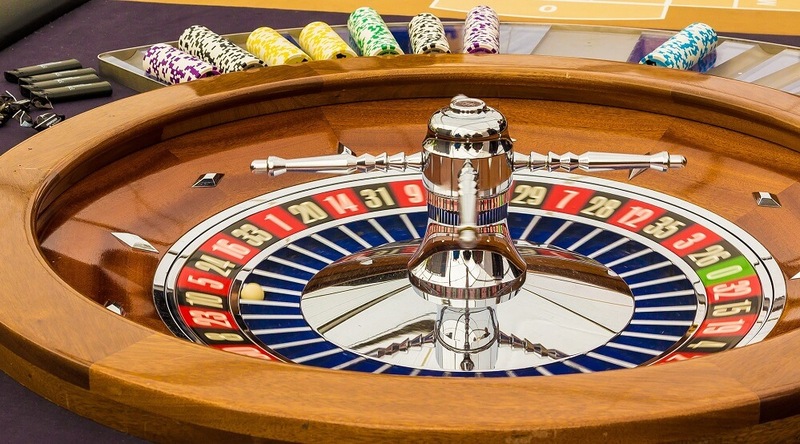 Before we get into the mechanics of Roulette bets, it’s important to understand that Roulette is a chance-based casino table game. It is the poster child of casinos the world over. Roulette has been glorified in Hollywood films, on TV, and in the literature. As a Roulette player, you have many powerful tips, tricks and strategies at your disposal. We will help you to discover the best Roulette strategy based on your playing style, preferences, and bankroll. Without further ado, let’s get started! • European Roulette – European Roulette games feature 37 numbers, including the green single 0. This exciting casino table game has a house edge of 2.70%. Any number on the Roulette betting deck has odds of 1/37 of occurring. European Roulette is fashioned off the game created by Blaise Pascal and his perpetual motion machine. Today, European Roulette features as the dominant variant of the game at casinos around the world. • French Roulette – has a distinct French flair, which appeals to players seeking a little panache in their game. Like European Roulette, this game also showcases a single green 0 and numbers 1 – 36. However, French Roulette differs markedly from all other variants of the game in that there are two rules that set it apart: La Partage and En Prison. Simply put, if a player selects an even-money bet on red or black, odd or even etc., and the ball lands in the zero slot, the player will either receive 50% of the bet back or will let it ride and have it in prison “En Prison” until the next spin. These rules reduce the house edge to as low as 1.35%. • American Roulette – American Roulette is the US version of the game, and it features a unique game style and set of rules. With American Roulette, there are 2 zeroes. These include the single 0 and the double 0. What’s different about this game is that players have a much higher house edge to contend with. In American Roulette, your odds are significantly reduced with a 5.26% house edge. Any single number in American Roulette has odds of 1/38 of occurring, yet the payouts for single number winnings are still 35:1. Based on the analysis above, your best bet is to play European Roulette or French Roulette. Your odds are significantly better when you choose these games over American Roulette. However, if you prefer a little variety in your betting diet, American Roulette offers you an additional 00 option. With every 100 bets you play in French Roulette and European Roulette, you are going to win an average of 49 bets. With American Roulette, you are likely to win an average of 46 bets. Dozen bets feature as an aggregate-style betting option where players can choose 12 numbers with payout odds of 2:1. The odds of hitting any dozen (1-12; 13-24; 25-36) are 31.58% in American Roulette, and 32.4% in European Roulette and French Roulette. When you choose these selections, you are effectively giving yourself a 1/3 chance of winning 2:1 odds on your bet. Once again, American Roulette is the game to avoid owing to the zero and 00. Other useful bets available to players are combinations of two number bets. These have odds of 17:1, and while the probability of these bets occurring is low at 5.4%, they are better than single number bets. There are several forms of combination bets that you can place, including 2 numbers, 3 numbers, 4 numbers, or 6 numbers. As the number of combinations increases, so too does the probability of winning with these types of bets. 1. The Martingale System – this betting system is the most popular of all the betting systems at casinos. It’s based on a simple concept: a player doubles the bet size on a losing decision in the hopes of recuperating losses quicker. If you bet $20 and lose, you would place a $40 bet to try and recover your losses. However, if you are experiencing a losing streak, the Martingale system can get really expensive, and table minimums and maximums can preclude its usage. Even today, the Martingale System is regarded as the best roulette strategy of them all. 2. The Paroli System – this betting system is a positive betting system whereby you increase your bet after you win, and you keep increasing your bet as your wins increase. Many experts recommend the 3-win method with the Paroli system. 3. The D’Alembert system is a negative progression system that involves increasing bets after losses and decreasing bets after wins. This popular betting system was named after the French mathematician Jean Baptiste le Rond D’Alembert. Unfortunately, the system is riddled with the gambler’s fallacy which is a mistaken belief that the likelihood of an outcome changes when the likelihood of that outcome remains the same. In other words, if you land 25 tails on a coin toss, the probability of heads landing on the next coin toss are not significantly greater – they are always 50-50. Nonetheless, the D’Alembert system remains a hot favorite with Roulette players around the world. Roulette is a game of chance, however there are many bets and strategies that can help you to maximize your winning chances. For example, play European Roulette and French Roulette over American Roulette. The odds are simply much better for you. Additionally, if you’re looking for a greater likelihood of winning, the best options are with combinations of numbers, or outside bets. Options like even money bets are always a great place to start. Roulette betting strategies are hit and miss; however, the top 3 Best Roulette bets and strategies include the Martingale system, the Paroli system, and the D’Alembert system.